Great Eastern Management Company began construction of Barclay Place, designed as a ‘sister property’ to Great Eastern’s adjacent Westgate Apartments, in 1991 and it was completed in 1994. 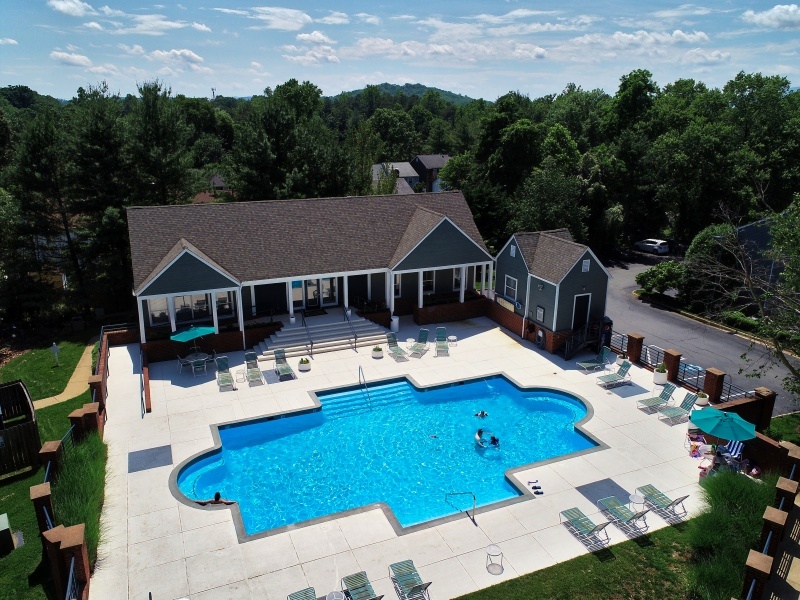 The goal for Barclay Place was to create a comfortable lifestyle for its residents, while also providing additional amenities in an excellent location in the heart of Charlottesville. Enjoy your private outdoor space such as a balcony or terrace, gather with friends and neighbors in the common areas throughout the property, relax by the resort style pool on the spacious sun deck, or take Fido on a walk throughout the property ending at the shared dog park. You can get your mind off work by spending some time in the 24 hour fitness center, or melt the day away in the sauna. However you decide to spend your afternoons and weekends, you will feel worry free in the peaceful community of Barclay Place. The commitment of Great Eastern to keep our community up-to-date has continued throughout the years. In 2009, two additional residential buildings were added to the community which are nicely equipped with beautiful features such as contemporary cabinetry, upgraded appliances and countertops, crown molding, and much more. In 2017 and 2018 the entire property got a facelift by repainting all exteriors of the buildings in a new color scheme, updating the landscaping, installing surveillance cameras, and even adding a clubhouse and business center for our residents! For the years in between major renovations and projects, we also evaluate each unit individually to upgrade and refine the space you will love to call home. Stop by Barclay Place to get more information on our one, two & three bedroom apartment homes with several styles & layouts. Cathedral ceilings, spacious living areas, and open floor plans are just a few of the many features of our apartment homes that will make you feel right at home. Great Eastern Management Company also operates three amazing shopping centers in the heart of Charlottesville! These include Seminole Square Shopping Center, Pantops Shopping Center, and the Blue Ridge Shopping Center in Crozet. As an added bonus for choosing Barclay Place, you will receive a $200 shopping spree and $100 in gift cards to these shopping centers!